GAA History Maker from Moanfin. 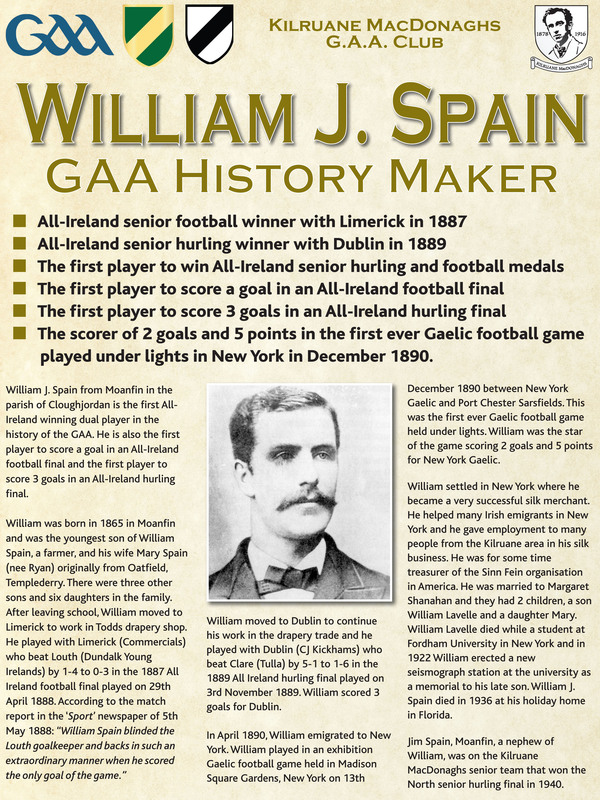 The first player to win All-Ireland seniot hurling and football medals. Research by Paddy Williams.